LATEST NEWS AND ANNOUNCEMENTS HERE! Billy in the Lowground are often shoe-horned into the pigeonhole of ‘Folk Rock’, mainly because they’re an amplified 6-piece with a distinct Irish influence courtesy of fiddle player Ruth Behan, but the sound is continuously evolving, incorporating elements of Country, Rock, and yes, perhaps even Folk! Comparisons have often been made with the Waterboys and the Levellers, but there’s a distinctive tone to Billy in the Lowground that’s all their own… the many line-up changes over the years have all strengthened the band, as every new member brings something new into the mix. Since they formed in 1991, they’ve played hundreds of gigs in venues small and large all over the UK, as well as uncountable festivals including Glastonbury, Ashton Court, Village Pump, Bearded Theory, Summer Breeze, Pontardawe International Folk, Larmer Tree, Off the Tracks, Lechlade, Landed and Farmfest. 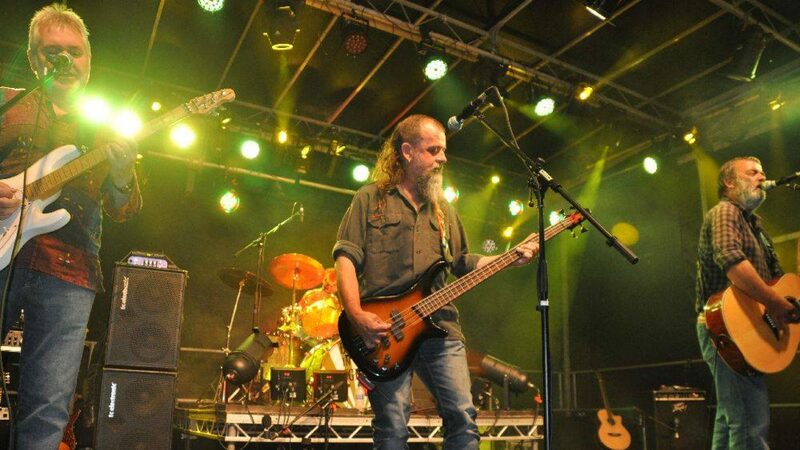 They’ve also supported many well-known acts including John Otway, Shane McGowan & the Popes, Rock Salt & Nails, The Men They Couldn’t Hang, Norma Waterson & Martin Carthy, Oysterband, Rory McCleod, the Wurzels, Chas & Dave and Fairport Convention. You can find out a bit about the history of the band here, and check out some songs, photos and videos from the tabs at the top of the screen, and see where they’re playing on the Giglist of course – have a look around! Billy in the Lowground are always interested in opportunities to play new venues and festivals, and can be contacted directly via the Contact form on this site, or via their Facebook page – Please get in touch! Chris Hibberd – lead vocal, guitar. DFP – drums and backing vocal. Ian Simpson – bass, backing vocal. Rob Fawcett – lead guitar, backing vocal.